I’m so excited to announce our newest contributor, Karen! Karen blogs at Makinthebacon.net and will be one of our regular writers on Suburban Finance. When I browse in stores, I often take note of the how the store is set up and what kind of environment it is for the shopper. Although I didn’t stay too long at my retail job, I did pick up of a few things on how to make the shopping experience and browsing experience more enjoyable for the consumer. Retailers are well aware of their ability to influence the shopping behaviour of the consumer by manipulating factors in the shopping environment. This makes the customer want to spend money. There have been many studies showing the significant relationship between the environment and the behaviour. [i] Factors such as varying music styles, the effect of lighting, layout of the store, storefront display windows and merchandise arrangement can play a part in changing the perception of the customer. The level of the music should be more like background music and not take away from the shopping experience. It shouldn’t be as loud as if you were at a rock concert or club and have to yell at the salesperson to get you a different size. For a brief period, I was responsible for creating a song playlist for the store. With the change in music, I noticed the customers seemed to be in a happier mood and say things like “I haven’t heard this song in AGES!” or “This is such a good song.” It brought a smile to their face and sometimes I could hear them humming the song as they would browse through the clothing. Although I can’t say that this specifically increased our sales, it created a better environment for the customer and they left the store in a happier mood whether they purchased something or not. Even if they did not purchase something, since they had a pleasant store experience, there was a better chance that they would return. With respect to the latter four factors mentioned: effect of lighting, storefront display windows, store layout and merchandise arrangement, I would group these under the design element of the store. The retail environment is a very visual industry, thus it is necessary that great detail is paid to these factors. Lighting is crucial, especially in a clothing store. The customer wants to see how they look in the outfit. They also want to be able to see the actual colour of the clothing. The lighting should be bright, but not bright to the point where it is harsh on the eyes. I’ve been into a few stores where the walls and floors were white with very bright lighting all over the place. Needless to say, I never went back. 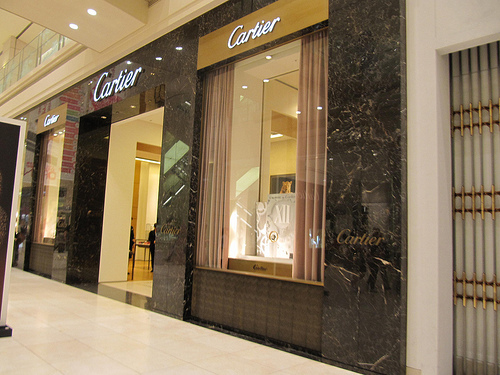 An attractive storefront display window is essential because it is the first thing the customer sees. An eye-catching window will bring the business in. Even window shoppers may actually stop in take a look. Storefront windows often have catchy sayings and emphasize the sale in the store. Some stores often have props and create a visually appealing scene, rather than just a bunch of mannequins wearing the latest merchandise. If an item is not selling, sometimes it will be put on display whether it is in the display window or on a mannequin in the store to attract more attention to it. Although it may seem minor, I consider store layout to be very important. Customers should have enough space to browse around. Clothing should be placed at a height that is often easy to reach. For me personally, if the item is too high for me to reach myself and there is no salesperson in sight or available to help out, I get frustrated and will often walk away. Unless it is something I really want to try on. If there is no store wide sale, sales racks are often located in the back of the store. This means the customer has to walk through all the tempting brand new regularly priced merchandise in order to check out the sales. Retailers make sure that the typical customer has to put in more of an effort to get the discounted merchandise. Things like carefully placed cardboard displays and fixtures lining the way to the sales rack will maximize the value of every shopper that comes in. Change rooms are often located in the back of the store because they are considered to be a more private area. I find stores without a separate change room area and that have only change rooms in random location quite annoying. It makes me feel quite self-conscious when trying on things if I have to look at myself in the middle of the store. Next time you enter a store, take note of the environment and if anything has been done to create a more pleasant shopping experience. [i] Turley, LW, Milliman RE. Atmospheric effects on shopping behavior: a review of the experimental evidence. J. Bus Res 2000; 49:193-211. I love 80’s tunes. They really should play more of them in the stores, considering 80s fashion is back in style now. I had so many pairs of coloured leggings and shorts when I was a kid! It really is amazing how much work goes into creating that impression when you walk into a store. I’ve been in a few stores when the power went out, and you never realize how powerful lighting is as part of your perception until those spotlights go out and you’re left with ordinary daylight! It really is. I never really noticed those things until I worked in retail. They spent so much time deciding what to put in the display window and where to place product.